The prize giving ceremony of the #68TCP Bufete Frau will take place at the RCNP at 6pm. The 420 class is already ashore. 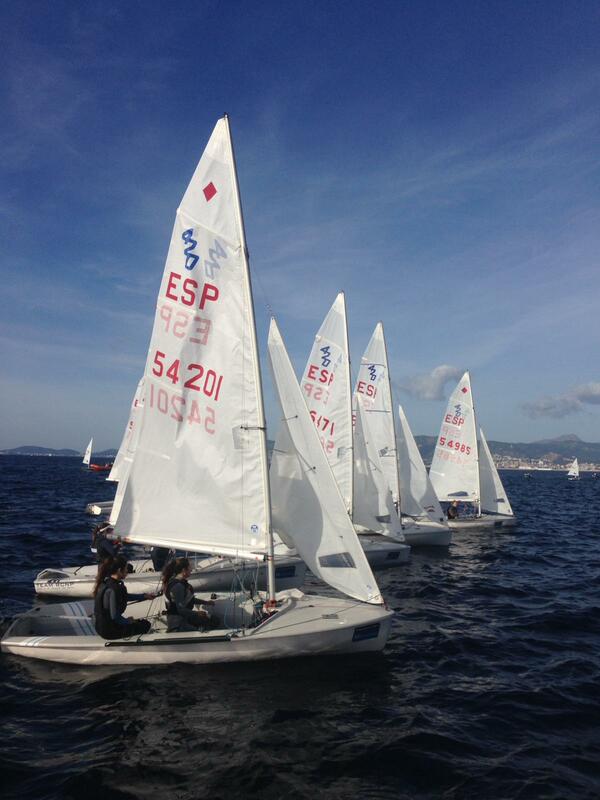 Europe and Laser 4.7 fleets are finishing the last race and heading back to port. 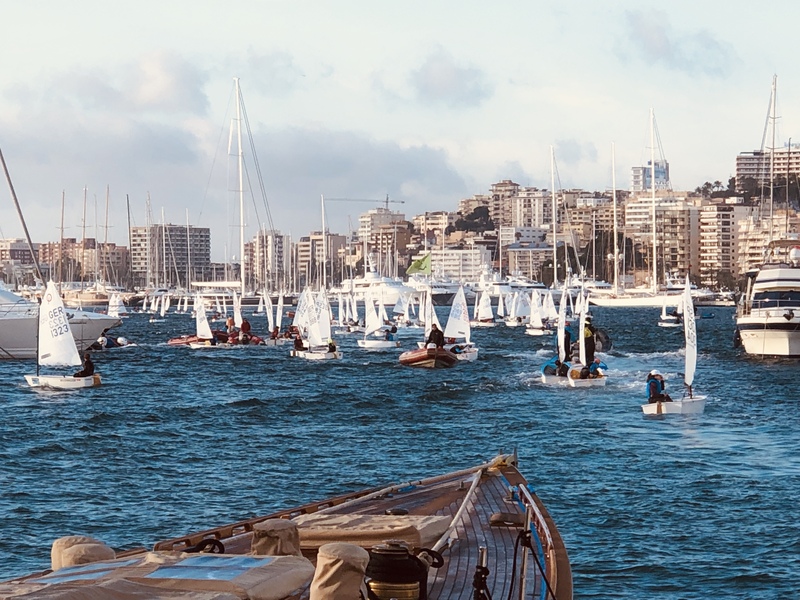 The Optimist Gold Fleet has finished the #68TCP Bufete Frau. Provisional results will be uploaded asap. The Optimist Gold fleet has started the third race of the day. Optimist Gold leed finished the second race. 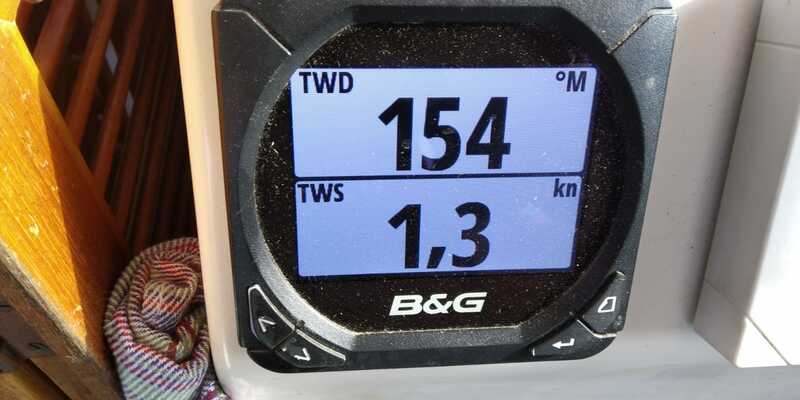 The rest of the fleet still racing with 14,8 knots from the 254º. Second race of the day for all the Optimist groups and the 420 fleet. 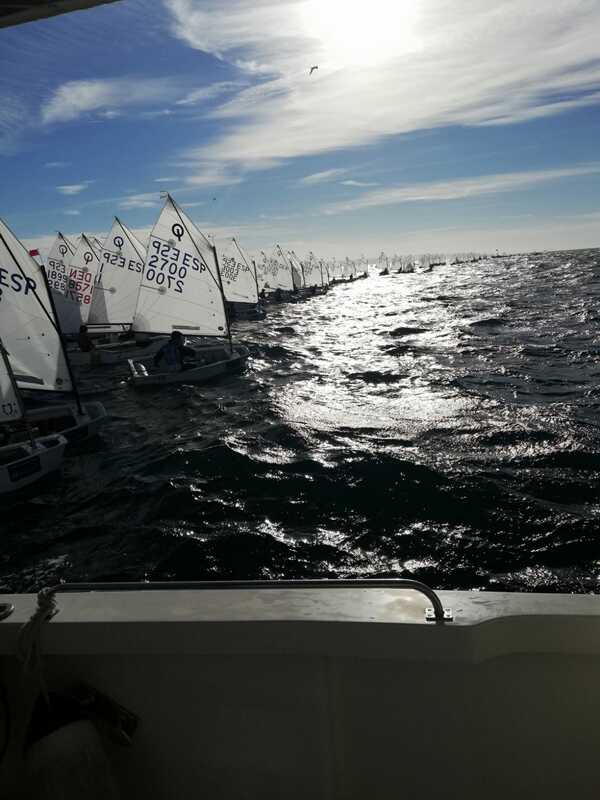 Europe Class in start procedure and Laser 4.7 waiting to go. We still have 19 knots. Optimist Gold Fleet finished the first race of the day. AP will be up for 5 minutes. All the classes already sailing! 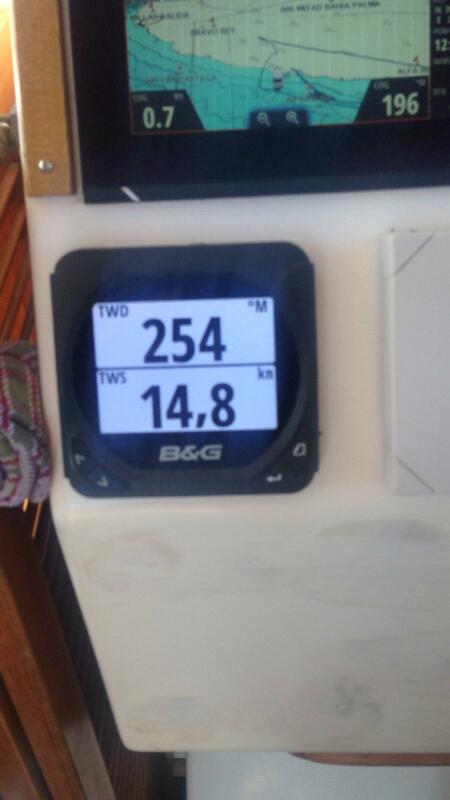 We have 18 knots from the 260º. 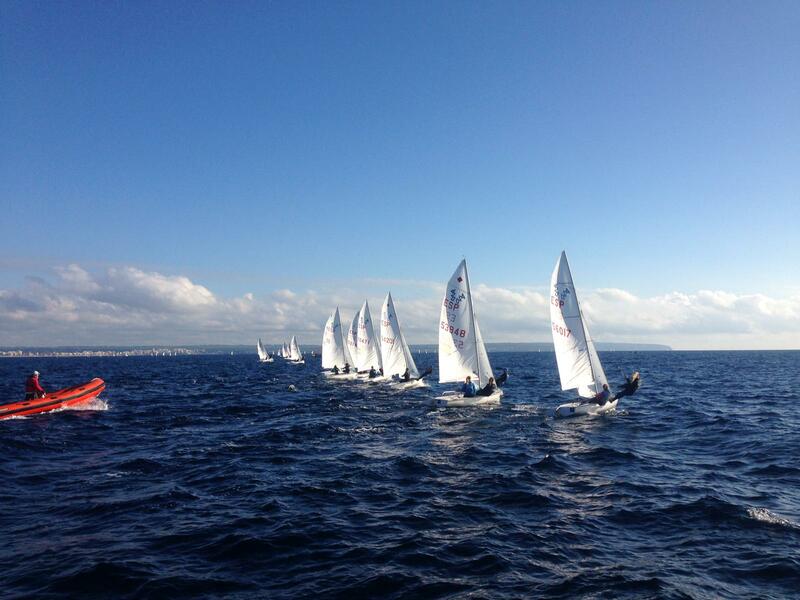 Clean start for the Optimist Golf fleet with 22 knots from the 255º. 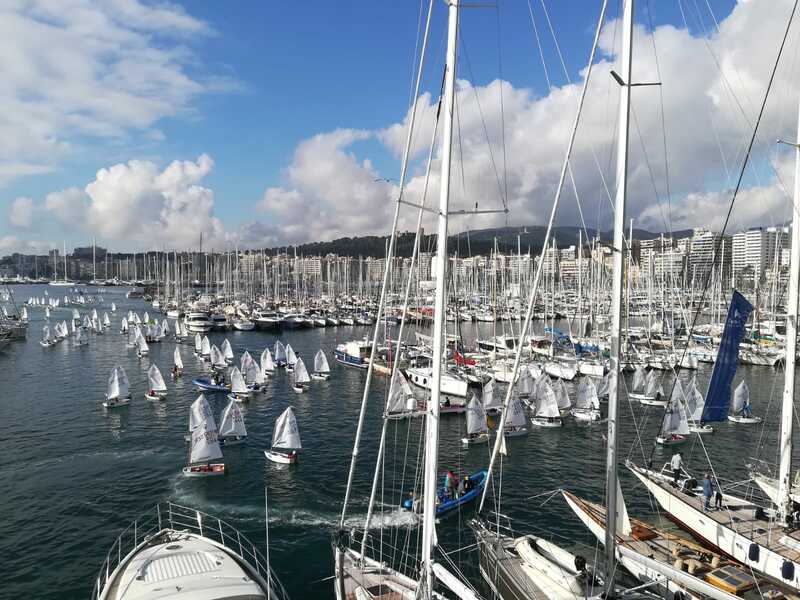 The Optimist fleet is already heading to the racing area. 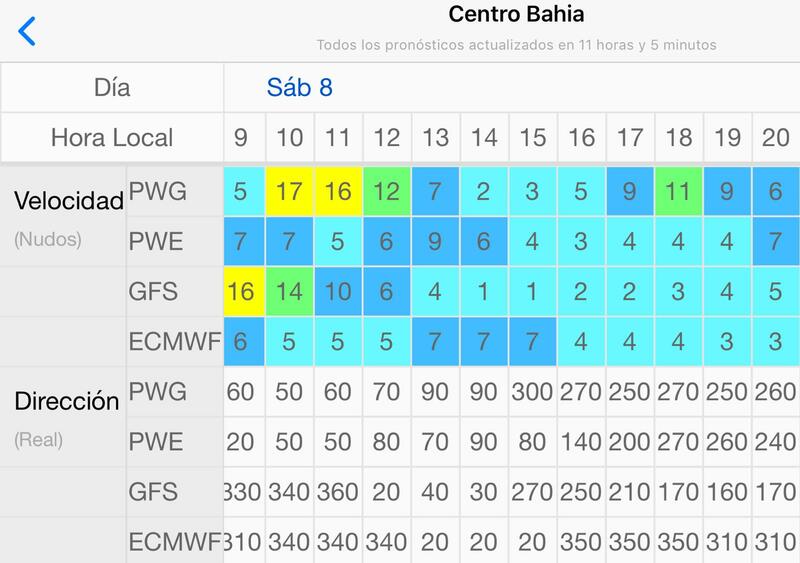 First Warning Signal scheduled at 10am. Good morning! It`s the last day of the #68TCP Bufete Frau. 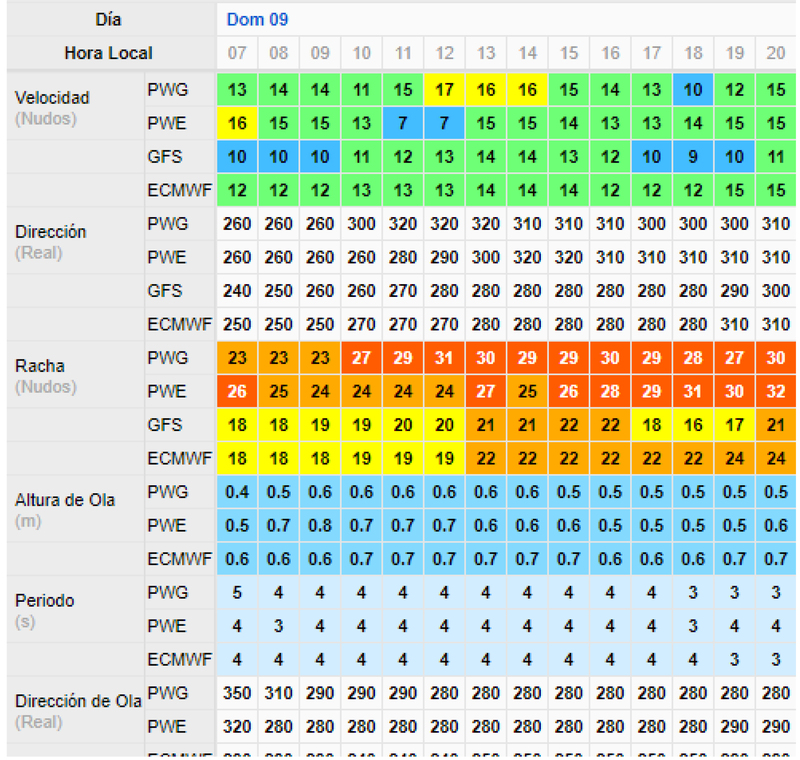 We will have strong winds (more than 15knts) from the NW. It`s over. No more racing today due to shifty wind conditions. The wind is back! Just when we though it was time to wrap... the wind said hi again. 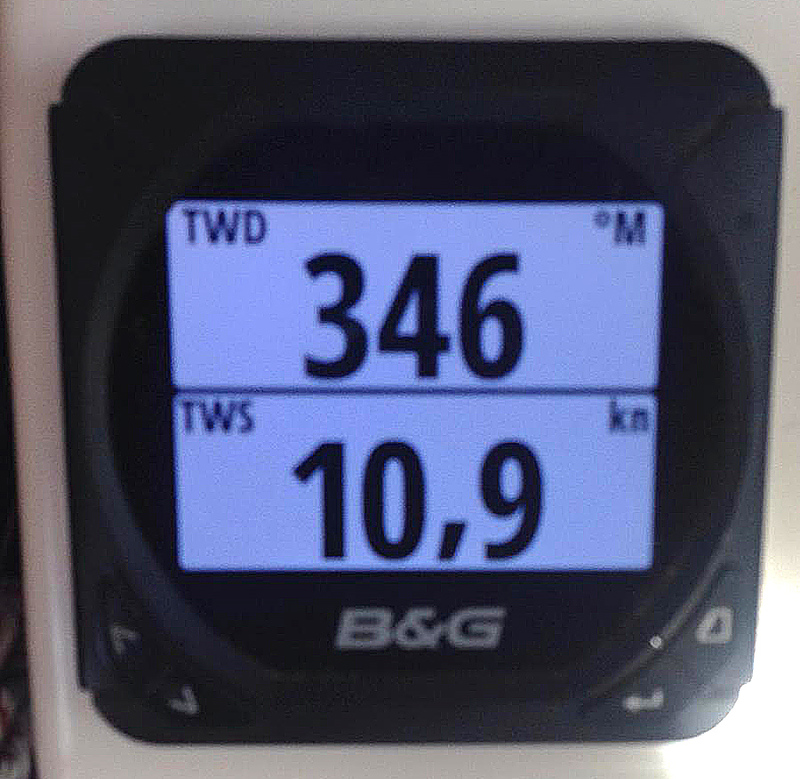 Now we have 10 knots from the 340. 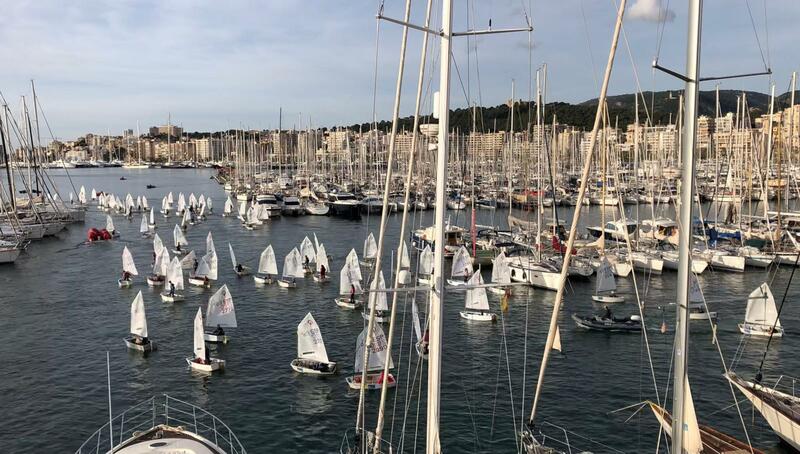 The Optimist fleet will sail the fifth race. Wind has dropped down. 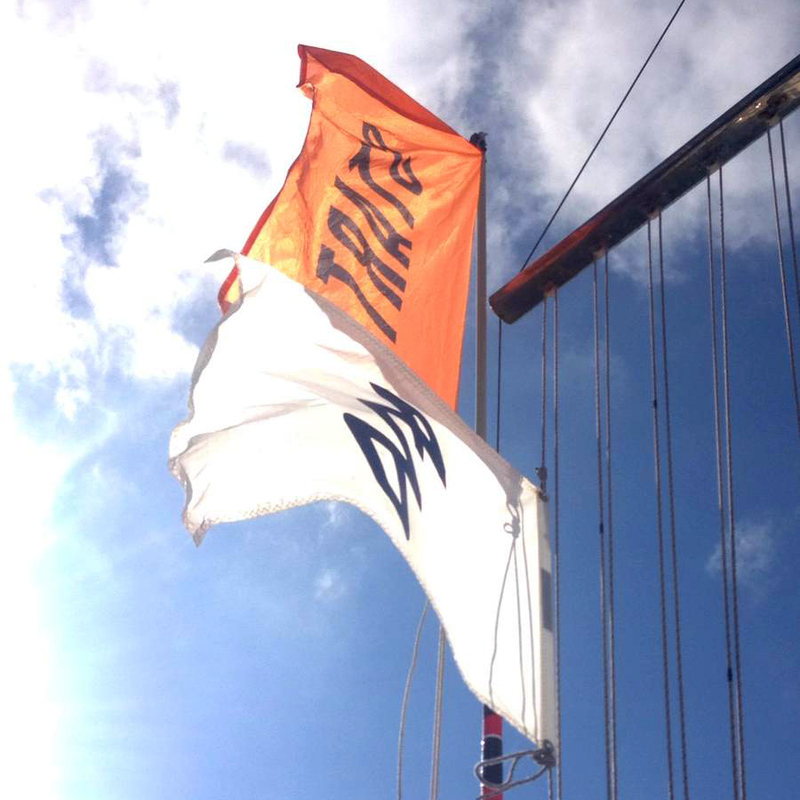 Race Committee boat displayed AP flag. 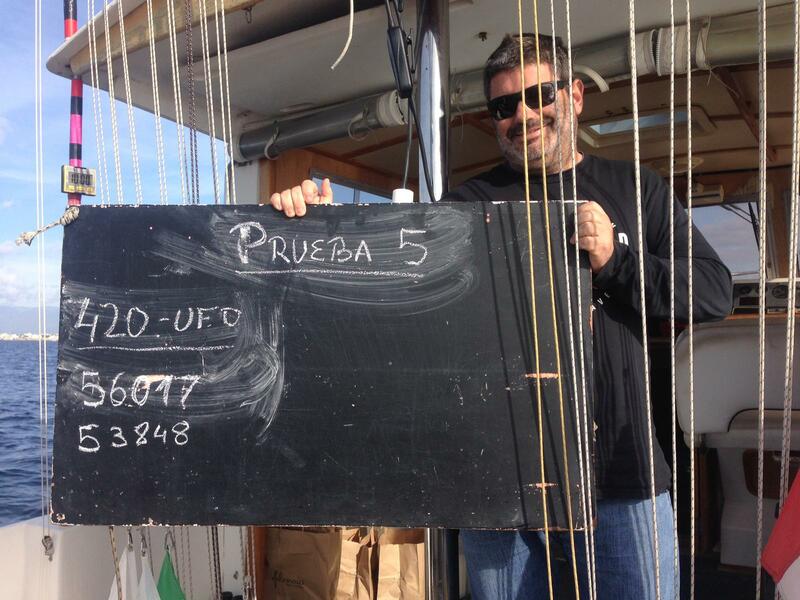 Two UFD for the second race of the day at 420 fleet. 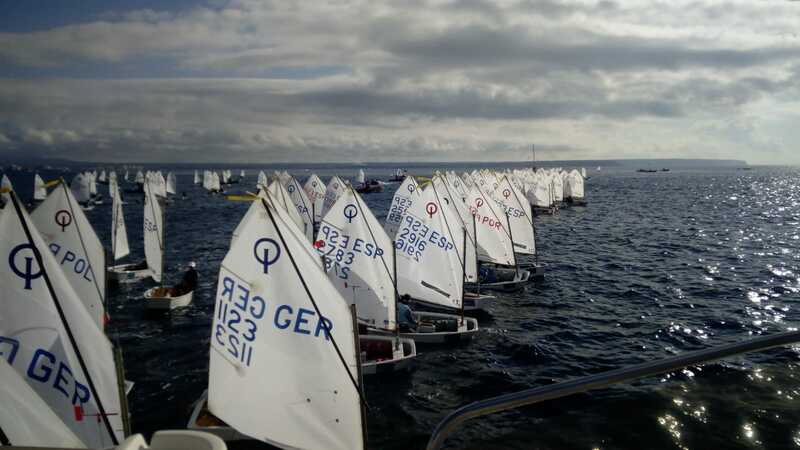 Clean start for the Optimist Yellow fleet and Start Procedure for the 420`s second race of the day. Optimist Blue and Red fleet finishing their third race (first of today). 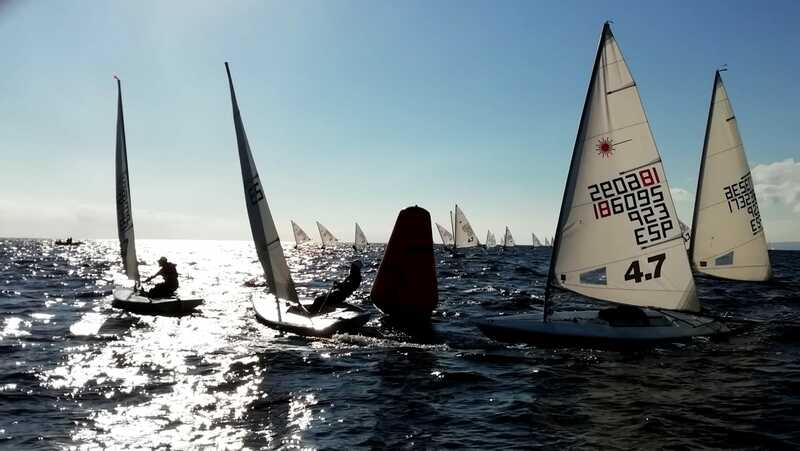 420, Europe and Laser 4.7 also sailing. Optimist Red and Blue fleet and 420 class are sailing. Start procedure for Europe. Laser 4.7 waiting for the warning signal. 8,5 knots NE. 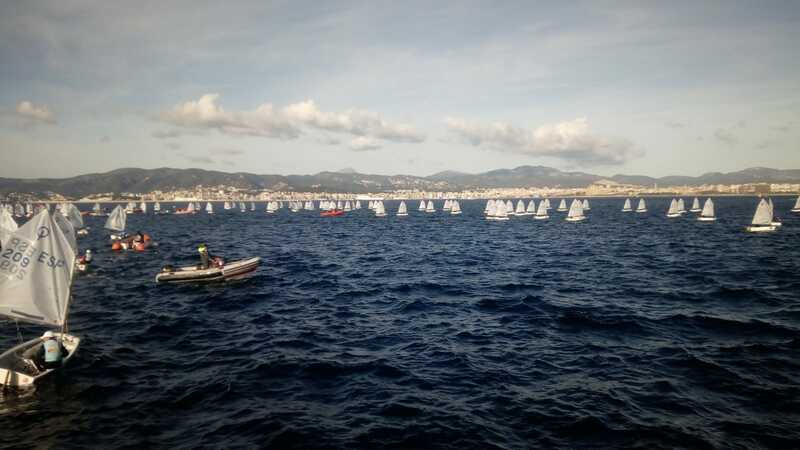 Abandoned race for the Optimist Bue fleet due to a change of the wind direction. 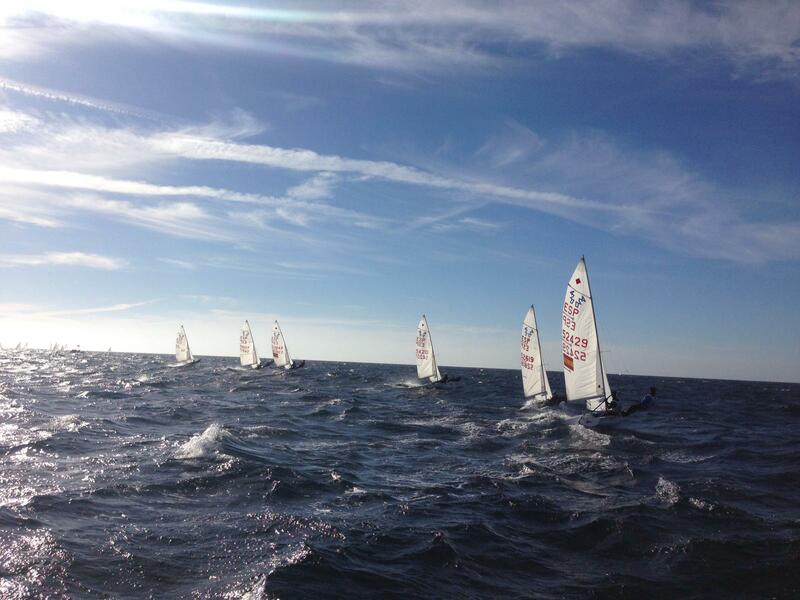 Clean start for the Optimist Blue fleet with 10 knots from the 060º. 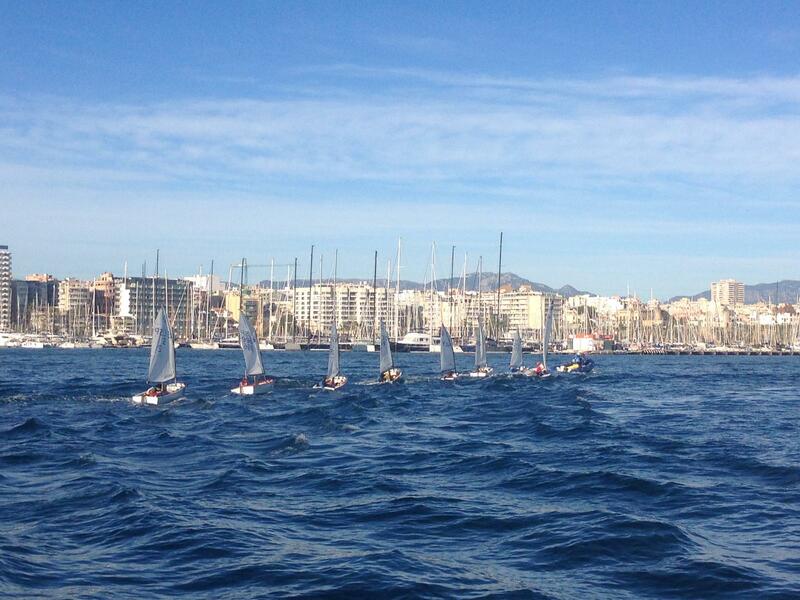 The Optimist fleet on their way to the race area with 8 knots from the 320º. Blue and Red groups will sail their third race. Good Morning! Let`s get started with the second day at the #68TCP Bufete Frau. 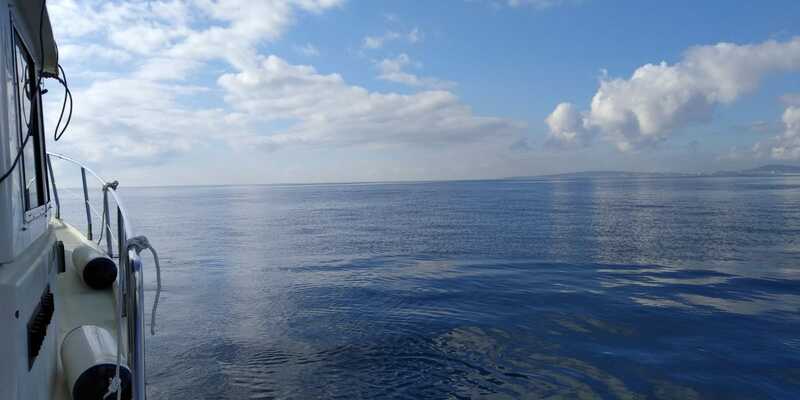 We have a sunny day with light winds from the North. And that`s it for today! All the participants heading back to port. 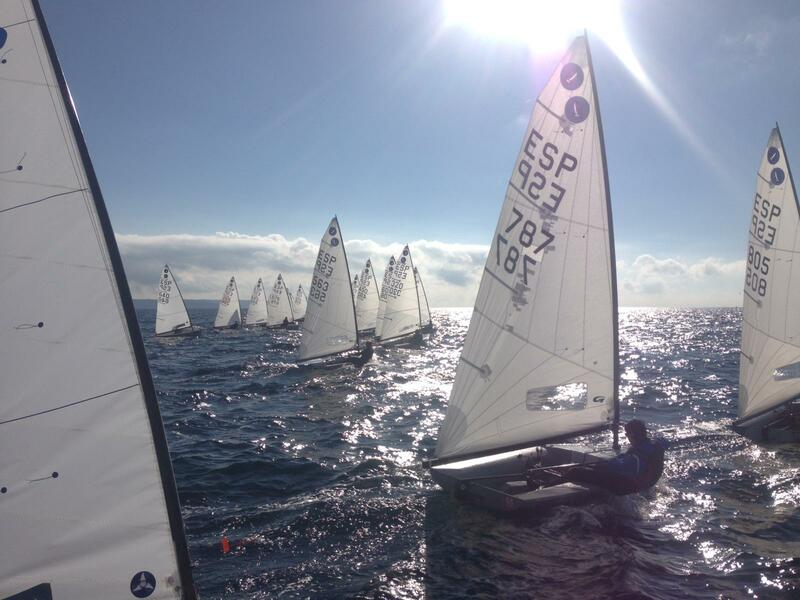 420, Laser and Europe completed three races. 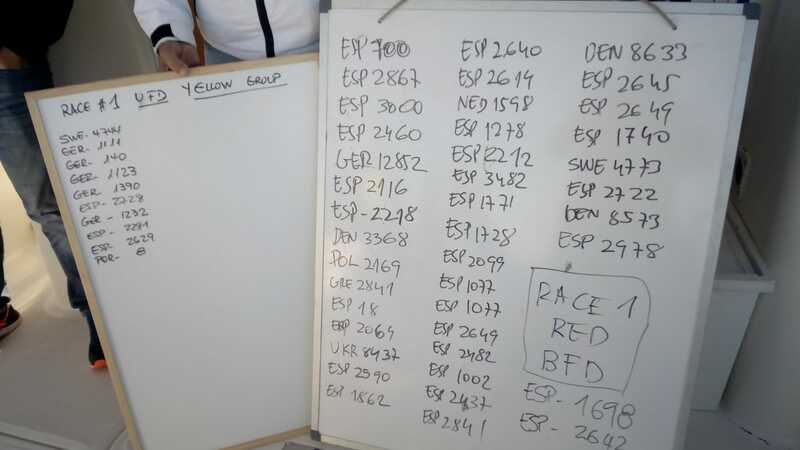 Provisional results will be available soon. 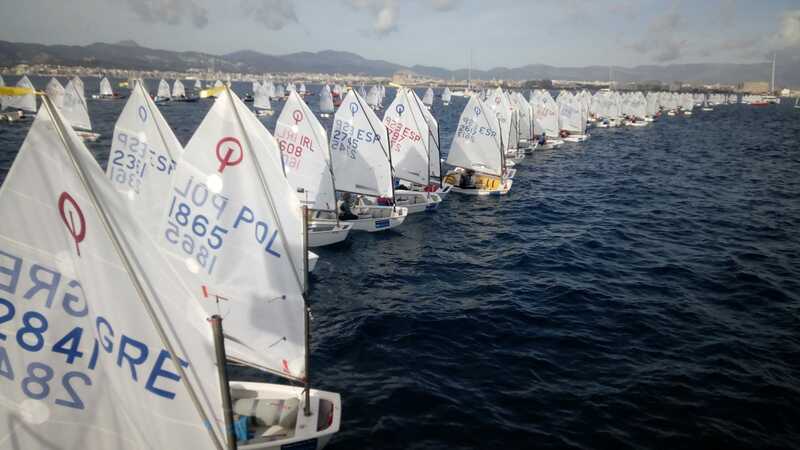 That`s a wrap for the Optimist fleet! 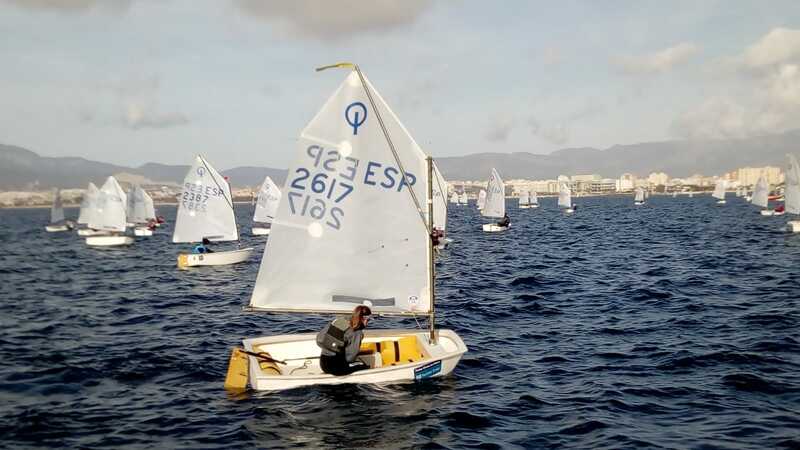 Yellow group managed to sail three races while red and blue groups complete two races. IMG: 1st race Red group BFD list. Check out the provisional results on our website. 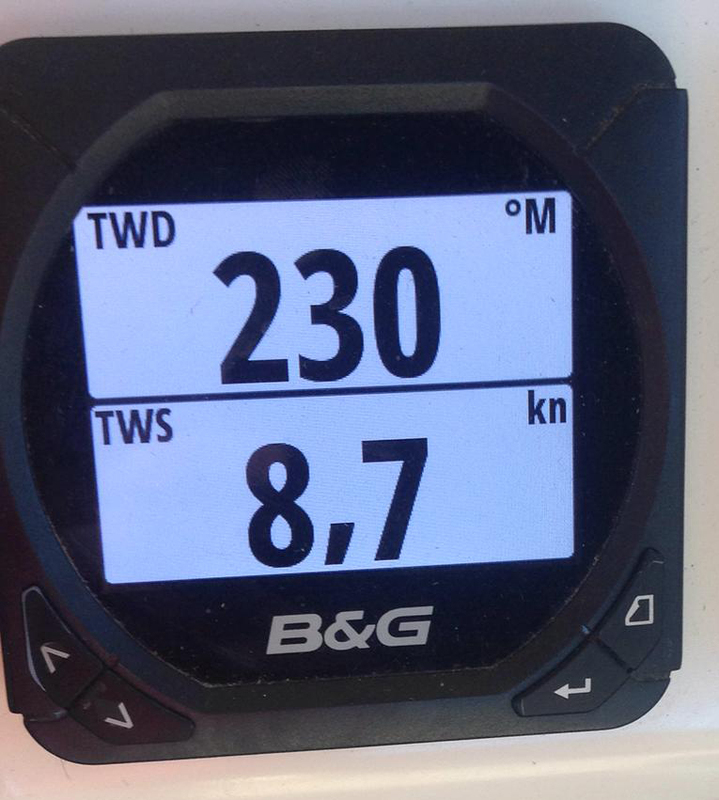 Now we have 11 knots from the 219. 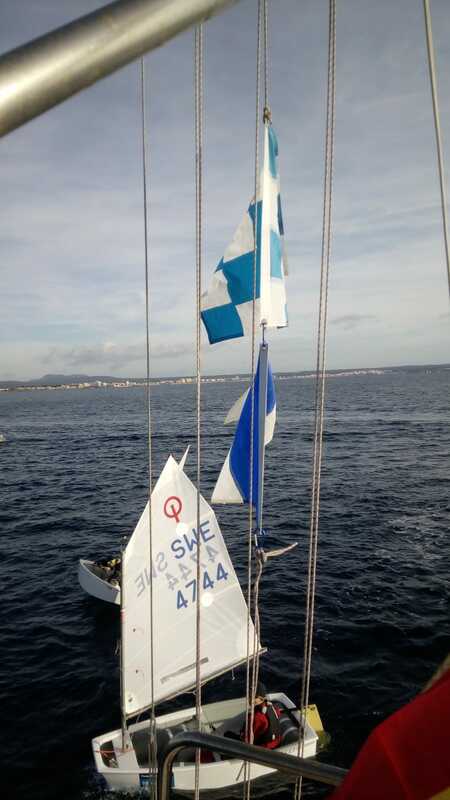 Good wind in Palma. 8,7 knows form 230º. 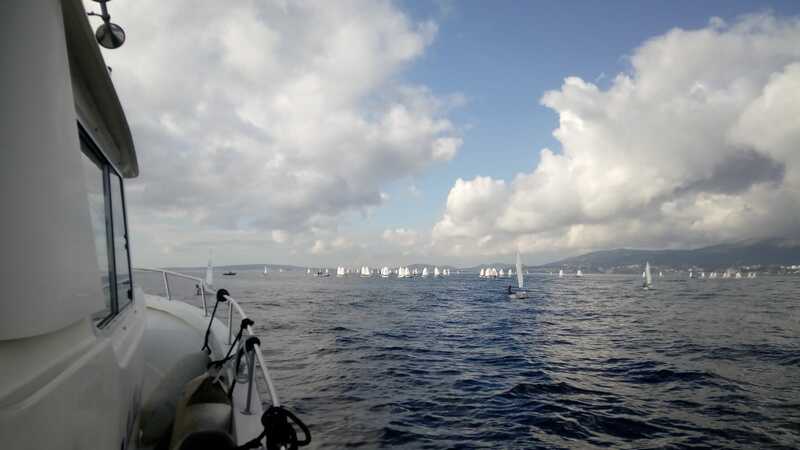 Almost all the fleet has completed the first race. Let`s go for the second race of the day! Clean start for Europe class. Optimist red group will start with black flag. Start for the Optimist Yellow group with a SW wind with 9 knots. 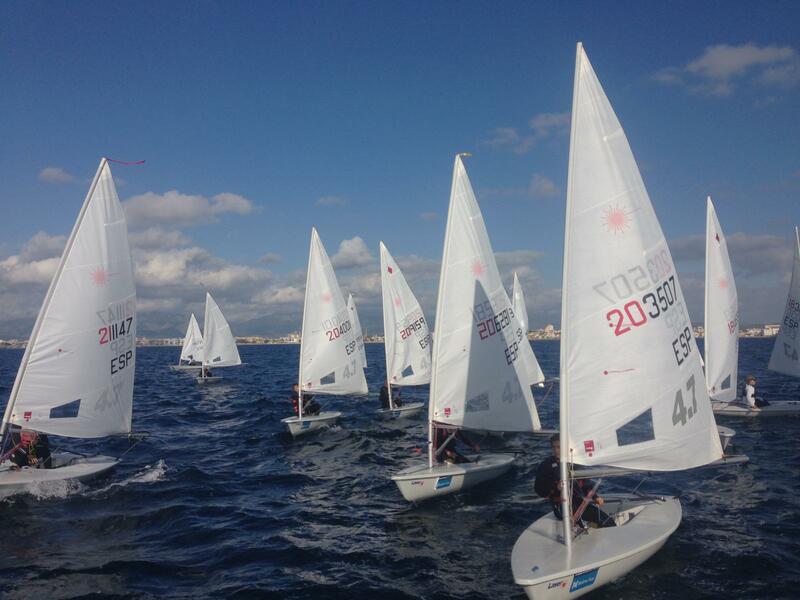 Some sea breeze from 230º at Bahía de Palma. Delta flag for the Optimist fleet. First readings from the sea. 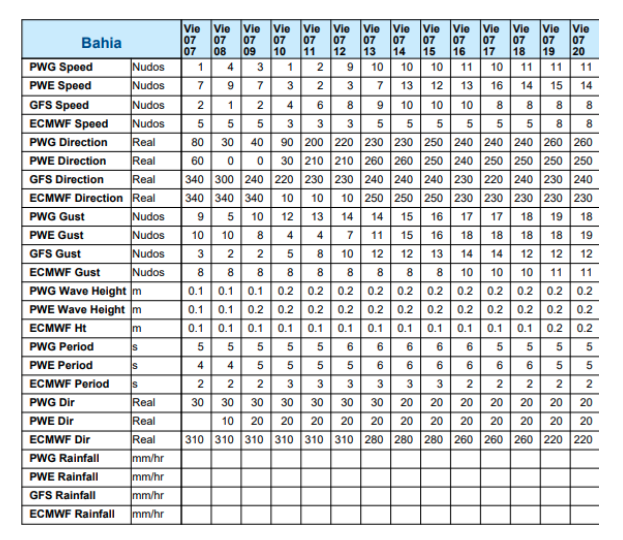 We have winds shifting from 350º to 020º with 2,7 to 4 knots. Prediction says the wind will increase at noon. Probably Delta flag at 10.30 - 11.00 am. Good Morning! 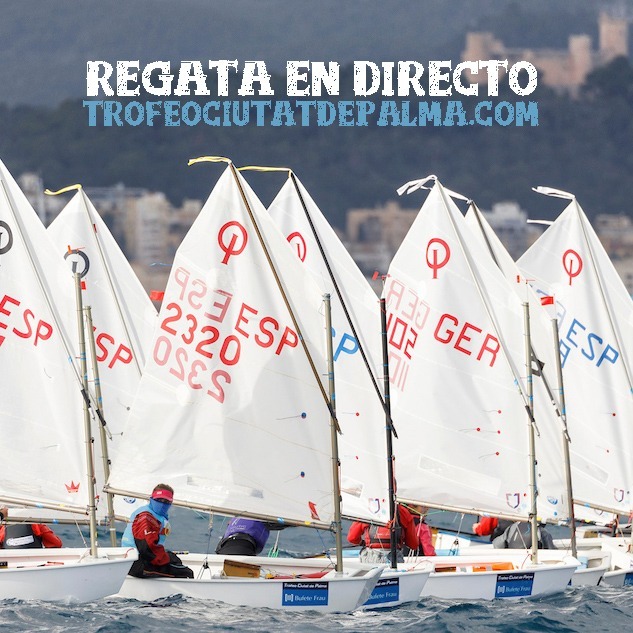 Today we are expecting light winds in the Bay of Palma. Keep tuned for wind updates.